Spiritual seeker, mental health warrior, tarot reader, bushwalker, YouTuber, practicing pagan, dog lover, hopeless bookworm. I've been on a pretty big journey. It has been scary, crushing and oh so beautiful - sometimes all at once! My personal experience of mental illness and substance abuse has been traumatic, but it has also lead to discovering myself as an authentic, empowered, spiritual person. In my early 20s, I was forced to face all my fears at once and it nearly killed me. I had no choice but to begin the long and winding process of rediscovering who I was and who I wanted to be. Now, I travel along side those who are experiencing their own dark time, not as someone with all the answers, but as a peer, as someone walking a similar path, a fellow wanderer. Throughout this journey, Tarot became a close friend. It was the tool that enabled me to bridge the gap between what my doctors were telling me and what my soul needed. It played a crucial role in my journey to wellness. I'm all about personal responsibility and autonomy, and finding ways to step into our own sovereignty at every opportunity. 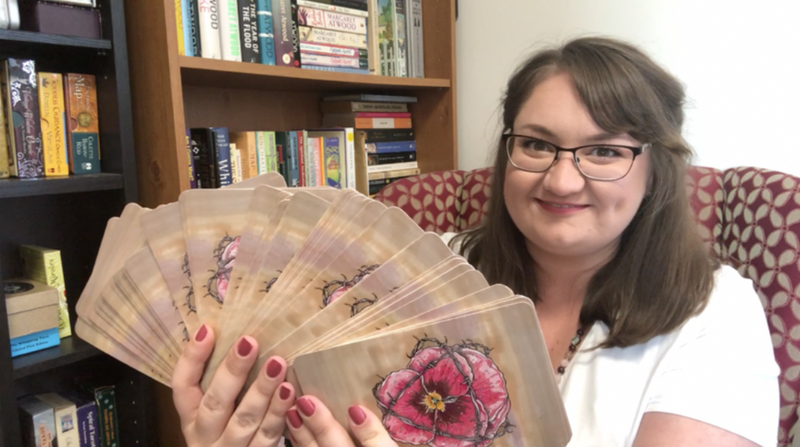 Ultimately, I seek to use connection and kindness to encourage actions and decisions that empower you on your journey, and I think Tarot is an incredibly powerful tool when used to this end. My Tarot readings are all about helping you assess where you're at, where you want to go, and how you can get there. I believe honouring your unique journey and getting you in the driver's seat are the core of my work as a reader. I aim to be compassionate, kind and practical in the guidance my readings offer. Whether it's work, love, spirituality, personal development or just some general direction, I relish the opportunity to share with you the wisdom and guidance that the Tarot can offer. Whether it's through my readings, YouTube videos, blog, or elsewhere online, I look forward to connecting with you on this wild journey we call life.